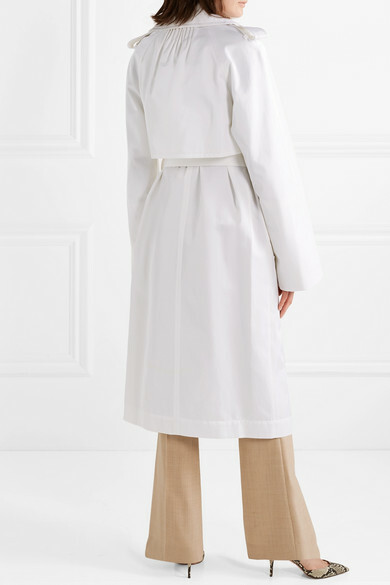 Adam Lippes' Spring '19 collection is inspired by his travels in Tangiers - the color of this 'Techno' trench coat calls to mind the whitewashed buildings of the Moroccan city's seaside. 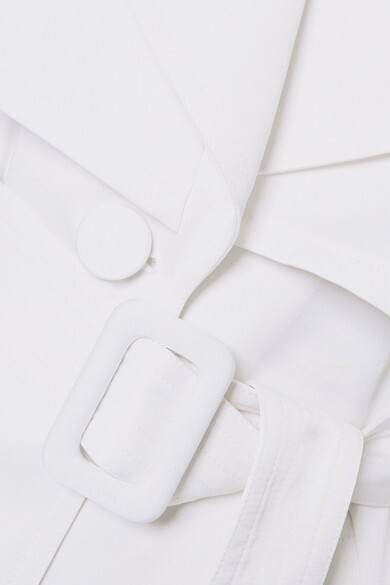 Made from smooth twill woven with a generous amount of cotton, it features classic details like a pleated storm flap and adjustable epaulets, plus an belt to define your waist. 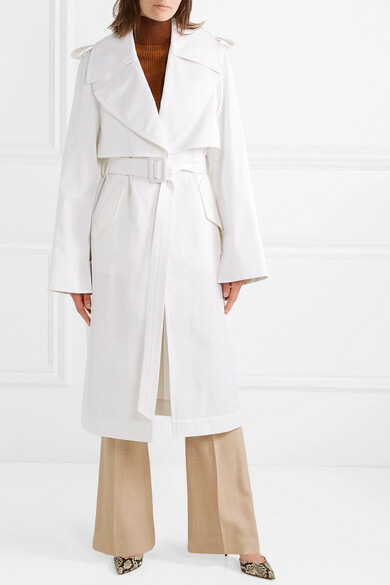 The silk-satin lining means it will layer smoothly over chunky sweaters on extra-chilly mornings. 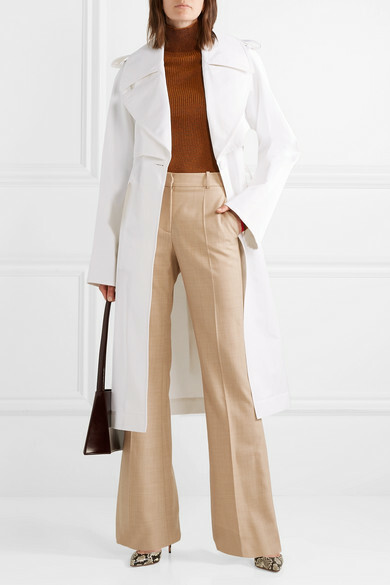 Victoria Beckham Sweater, Victoria Beckham Pants, LOW CLASSIC Shoulder bag, Aquazzura Pumps, Alighieri Earrings.